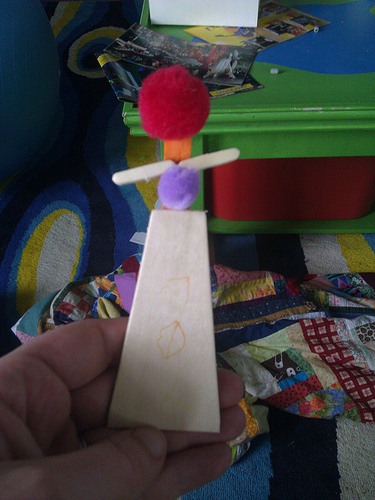 This week we asked: What do creations look like? 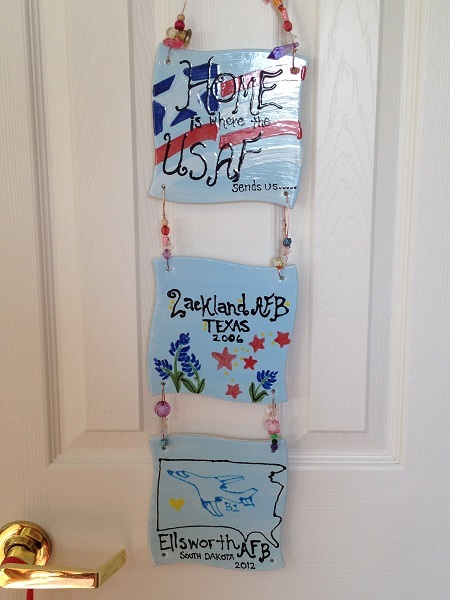 but because she is a fantastic friend, the mother complimented Moira on her exquisite work. From Kym: “Recently our boxer, Bruno, needed surgery. 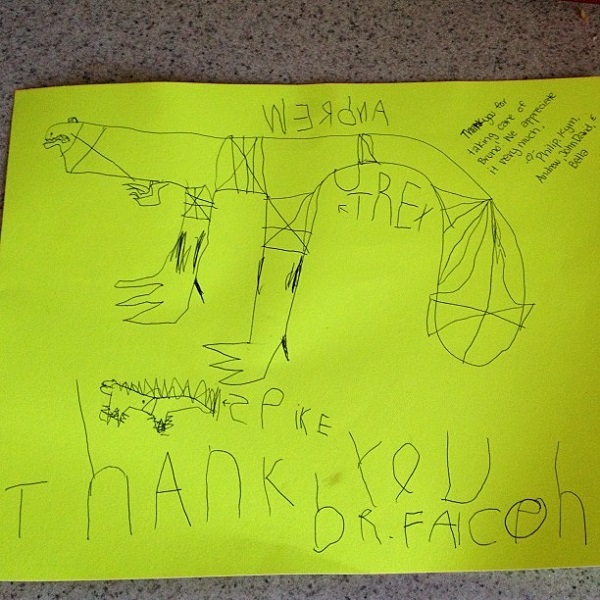 Our son Andrew drew this picture as a thank you. 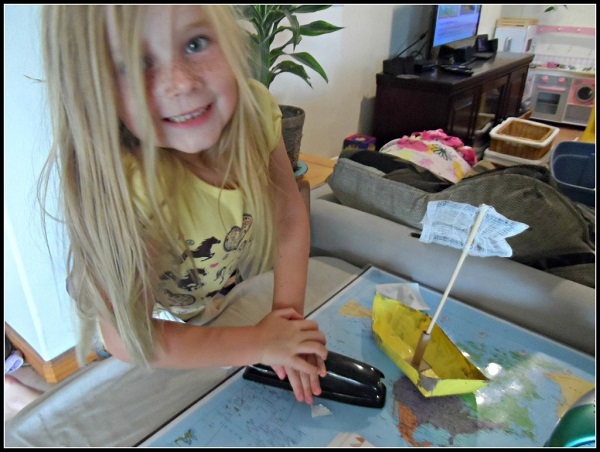 Angela’s daughter Ava has a blast creating a boat while learning about ancient Egypt. 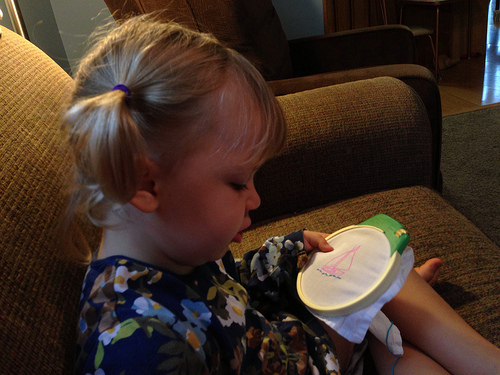 From Sara: “Julia is learning to embroider so she can be crafty with her momma. 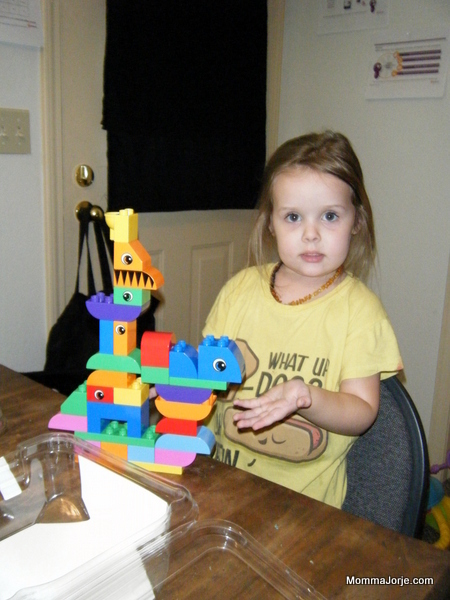 Sasha loves getting creative with her animal parts. 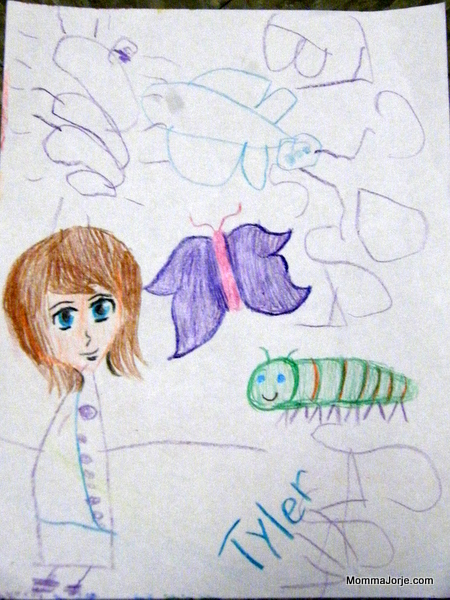 inspired by an article about an artist collaborating with her daughter. 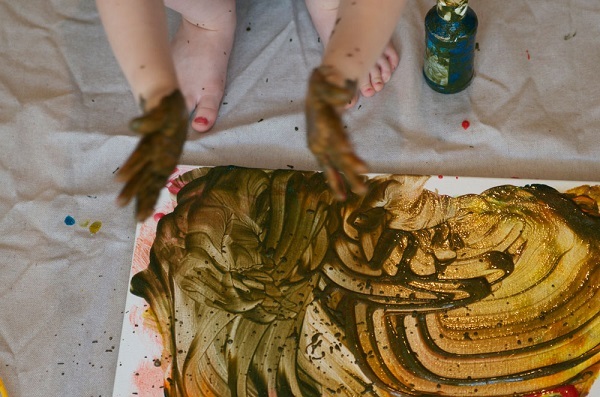 Tell us: What do creations look like in your family? Perhaps Ava will grow up to be an Egyptologist! My sister wanted to be one. I hadn’t even known there was such a job!